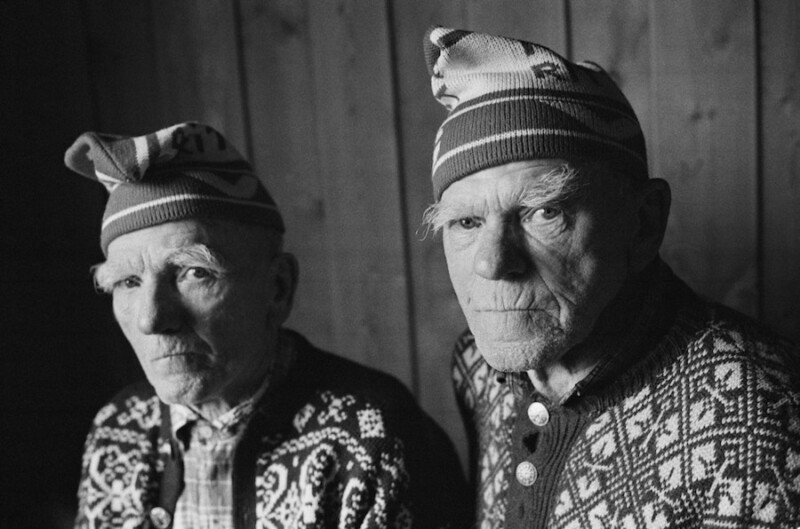 "The story began when I heard about two elderly brothers living together in Tessanden, a tiny hamlet near the village of Vågå in the middle of rural Norway," explained Norwegian photographer Elin Høyland. "I first met up with them at the local supermarket they traveled to each week. When I arrived they emerged bearing huge rucksacks stuffed with food." 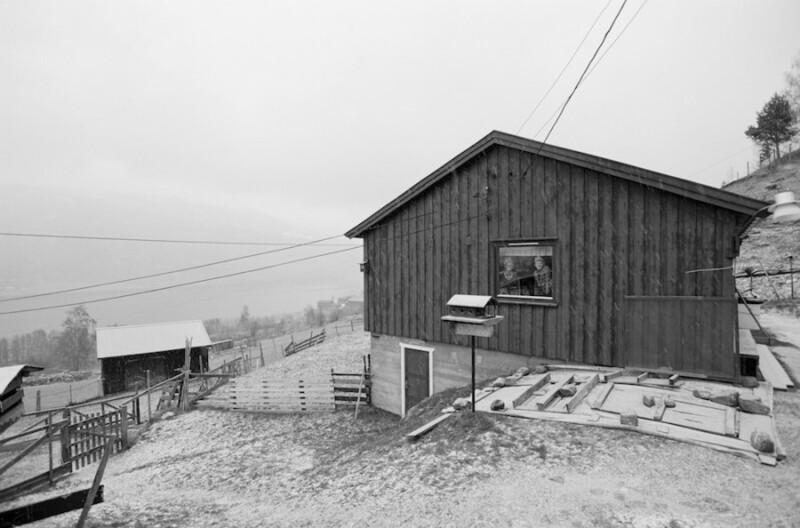 Høyland was introduced to Harald and Mathias Ramen, two brothers, 75 and 80 years old respectively, who had spent their entire lives on the same small farm they grew up on. 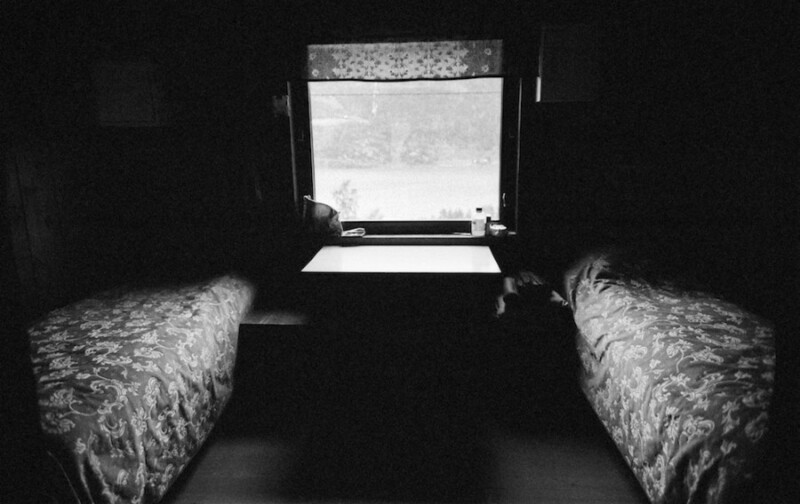 Though at one point their parents and siblings lived with them, the two were eventually on their own, together. Neither ever got married. 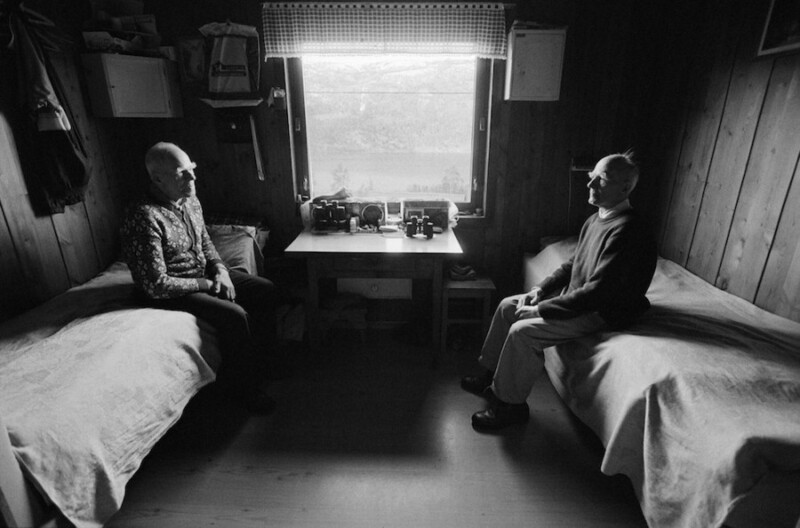 Intrigued by this simple and removed way of life in a quickly-changing Norway, Høyland set out to document the final days of the two men. 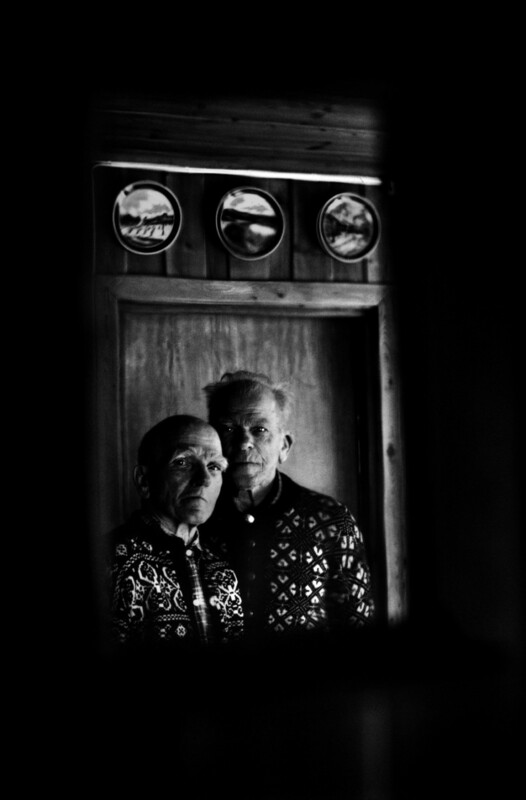 She dubbed the series "The Brothers," aiming to capture both the brothers as individuals as well as lives they led, which Høyland feared would soon be extinct completely. 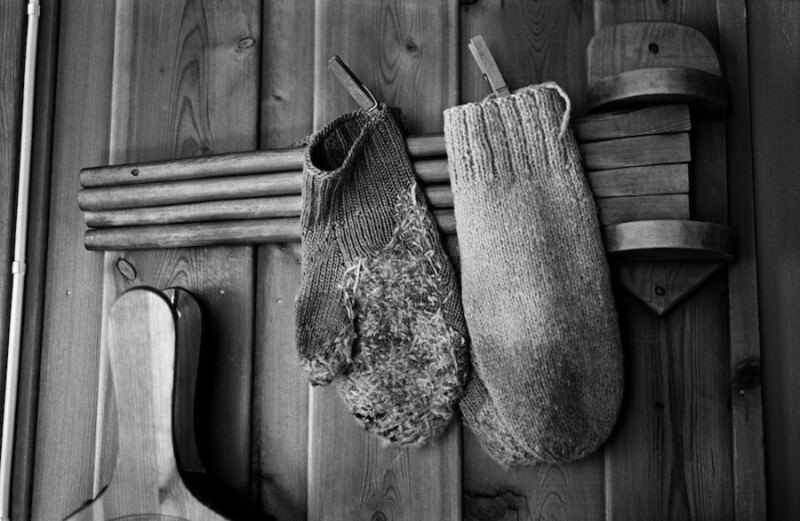 Their days in the rural village were simple, comfortable and routine. 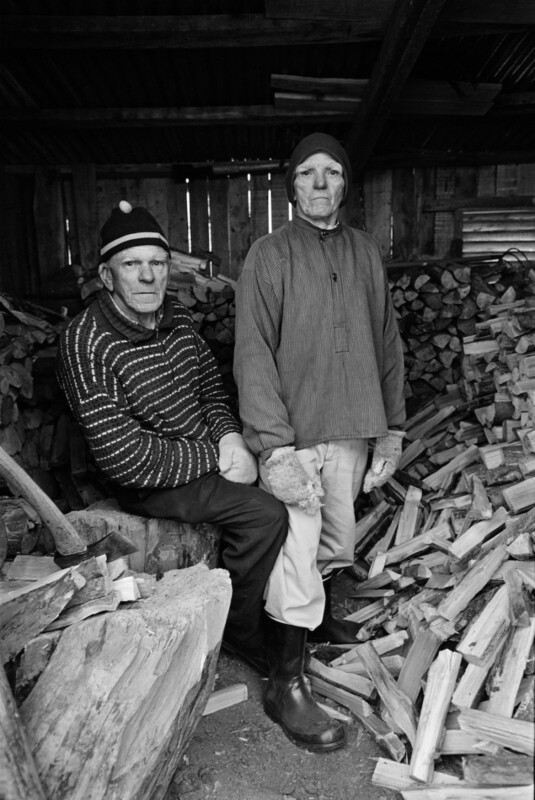 "The brothers chopped wood, carried wood and burned wood," Høyland explained. "They were also avid birdwatchers and at least twice a day they would feed wild birds in the twenty bird boxes that they monitored. In their free time they listened to the radio or read the local newspaper. In the 1960s Harald and Mathias had hired a television on a one month trial, but returned it after deciding that it took up too much time." 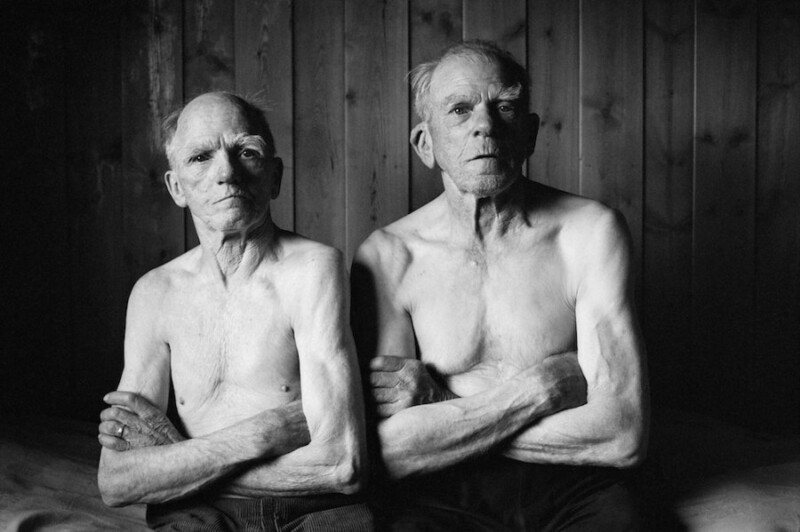 Høyland's black-and-white photos are quiet yet powerful, mirroring the humble yet fierce existence of these two inseparable siblings. 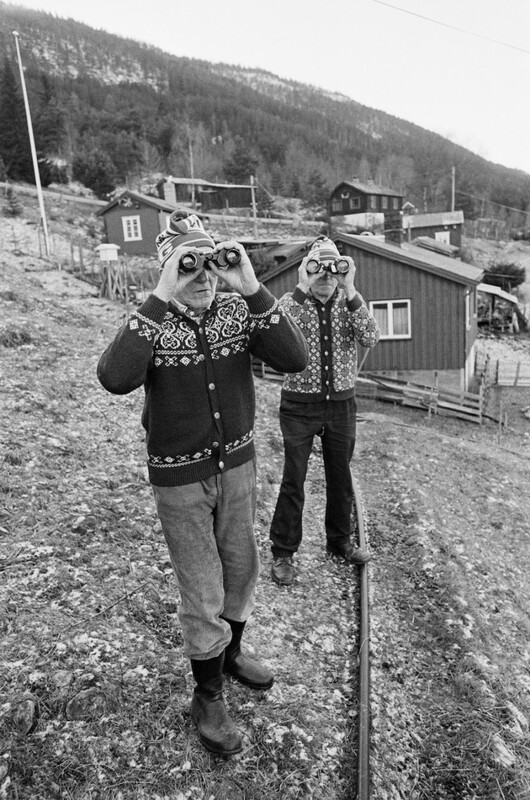 Capturing the two birdwatching, sitting silently atop their beds or gazing firmly into the camera while donning matching Fair Isle sweaters and beanies, Høyland documents two unassuming lives so isolated and yet intertwined they seem plucked right out of a fairy tale. At once somewhat mythical and palpably real, the series captures true familial love in the smallest of gestures. 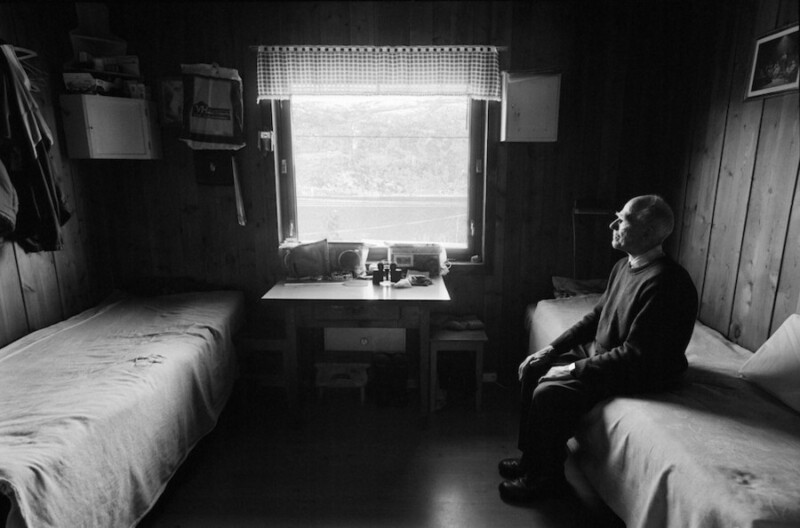 The most heartbreaking photos depict their shared bedroom, first with both brothers seated on their respective beds, then only with Mathias after Harald passed away, and finally with both beds empty. 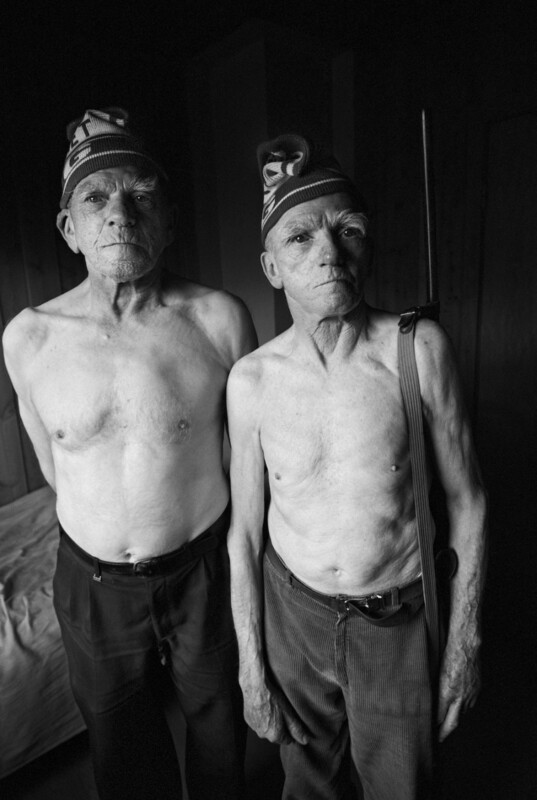 A gripping depiction of nature, family and death, "The Brothers" is a stunning reminder of what's truly important in life, regardless of how old you are.